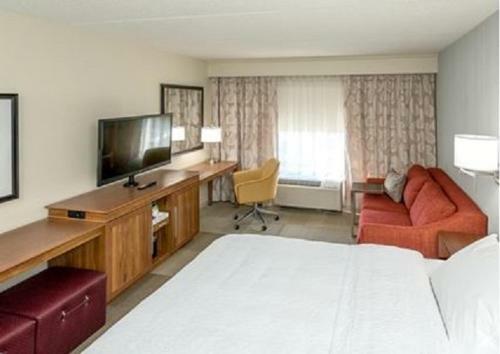 Offering a fitness centre and indoor pool, Hampton Inn & Suites Cazenovia, NY is situated in Cazenovia in the New York State Region, 28 km from Syracuse. Guests can enjoy the on-site restaurant. Hampton Inn & Suites Cazenovia, NY features free WiFi throughout the property. You will find a 24-hour front desk at the property. Cortland is 45 km from Hampton Inn & Suites Cazenovia, NY, while Skaneateles is 48 km away. The nearest airport is Hancock Airport, 30 km from Hampton Inn & Suites Cazenovia, NY. 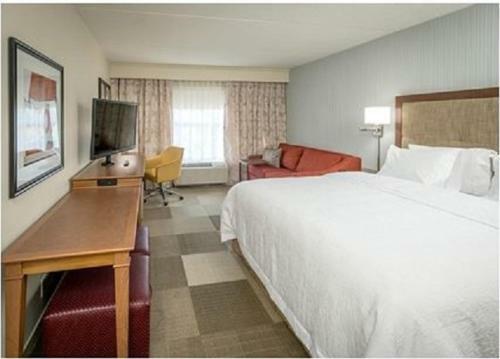 the hotel Hampton Inn & Suites Cazenovia, NY so we can give you detailed rates for the rooms in the desired period.